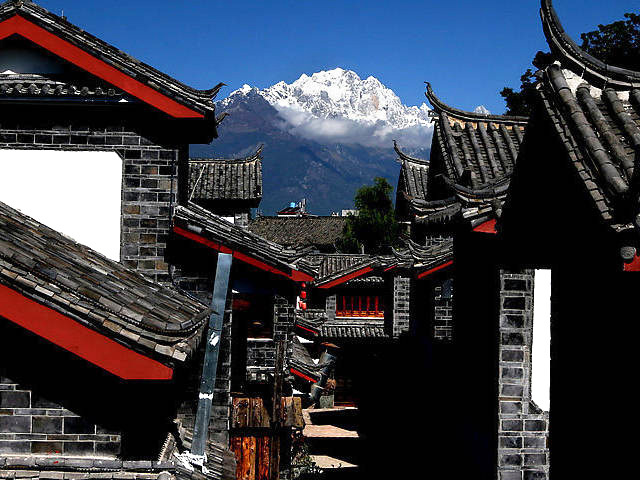 Lijiang Old Town is located in the county seat of Lijiang. 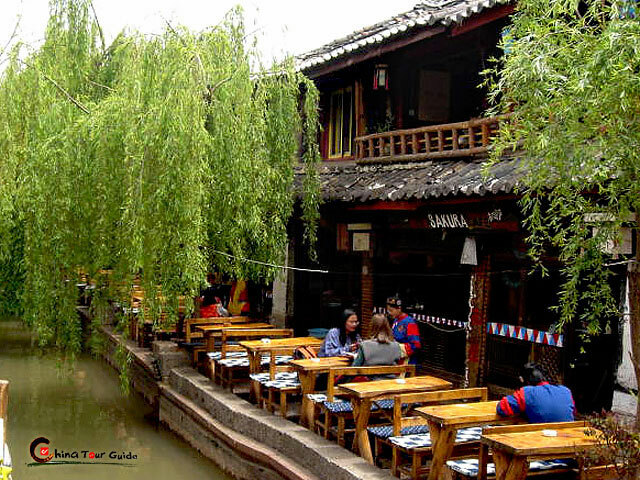 Built in the late Song and early Yuan dynasty, it has a history of 800 years. The ancient city is well preserved, and in 1997 it was included in the list of UNESCO's World Heritage sites. With the famous Square Street at its core, roads here are mostly paved with stone boards. The twists and turns of small lanes, narrow cobbled streets and the gurgling canal all help create a place where you can lose all your worldly worries. Square Street was the site of a major bazaar for local residents to visit the market and stock up on necessities such as meat, vegetables, oil and herbal medicine. Now visitors will come across some interesting ethnic products and sometimes unusual antiques. 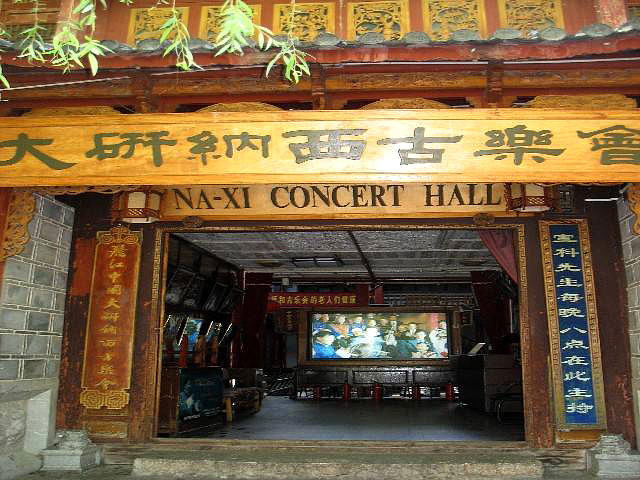 Many traditional Naxi houses, made of adobe bricks and wood, have typical Naxi architecture style with a pleasant courtyard. These are also the structures that withstood a major earthquake in 1992 in Yunnan province. Their durability made Chinese architects rethink the value of traditional homes. 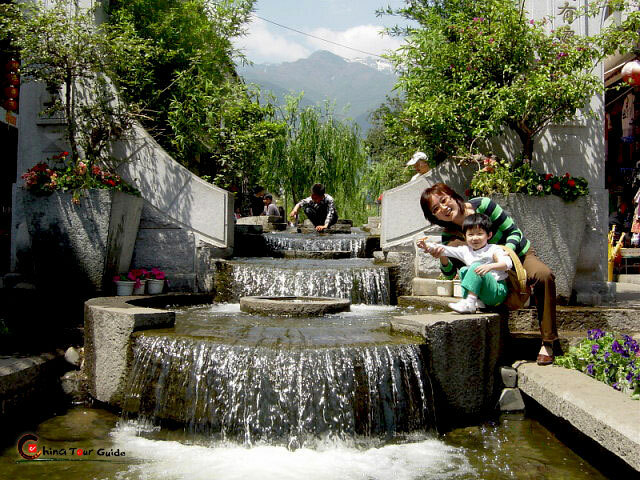 An important feature of Lijiang is the numerous streams and brooks crisscrossing the houses. It is an ingenious approach developed in ancient times by local people to make them close to water and keep it clean. The water still keep running today, everytime you walk on the paddle-paved road, a stream is running beside you. The people here are mainly from the Naxi ethnic group and you can still see many older women dressed in their traditional attire. In times past, Naxi women did all the hard work while men were free to indulge in more sophisticated pursuits, such as poetry and music. 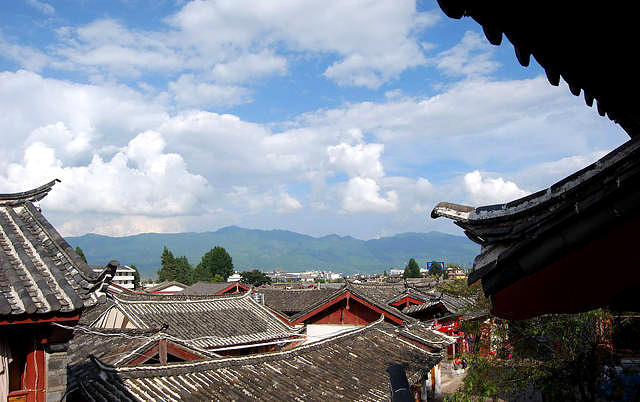 Lijiang is elected as one of the laziest cities in China in 2004. Life here couldn't be more comfortable. 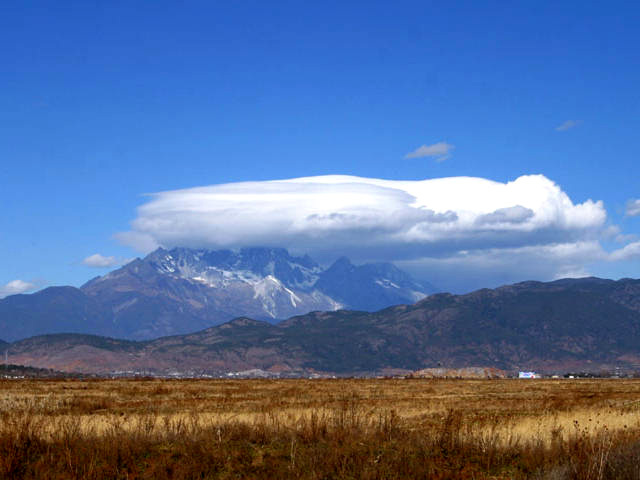 There is an upside to Lijiang being a tourist attraction. A late breakfast in one of the many up-scale cafes fits the slow, lazy pace of life. The pizzas, pancakes and coffee are up to standard, refined over the years through tips from overseas travelers. 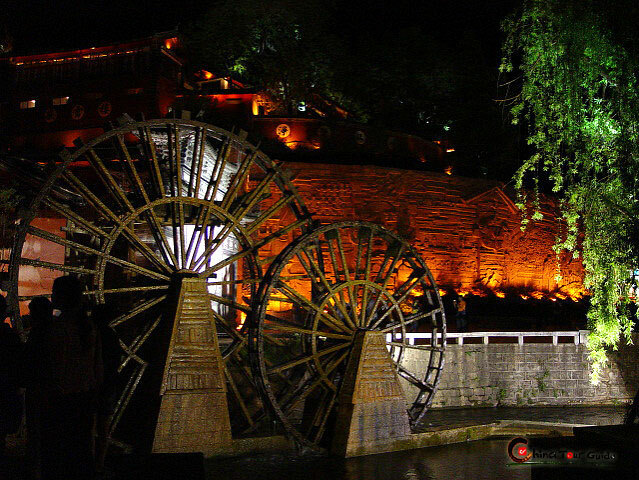 Water is the spirit of the Lijiang Old Town Water wheels in Lijiang Old Town.